👯‍♀️This class is for the student with two to three years of ballet. 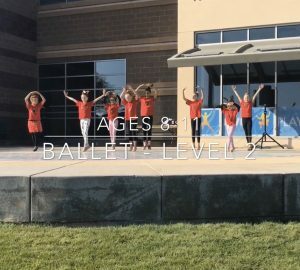 Please place your student by age before level. If the student needs to be moved up or down, the teacher will let you know. Time in class will be spent learning ballet terms and technique. Leotard, tights, and ballet shoes, along with taking both sessions are recommended. In session B, we end with our Spring Recital!